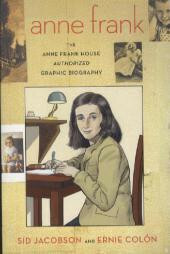 Produktinformationen "The Anne Frank House"
Drawing on the unique historical sites, archives, expertise, and unquestioned authority of the Anne Frank House in Amsterdam, New York Times bestselling authors Sid Jacobson and Ernie Colón have created the first authorized and exhaustive graphic biography of Anne Frank. Their account is complete, covering the lives of Anne's parents, Edith and Otto; Anne's first years in Frankfurt; the rise of Nazism; the Franks' immigration to Amsterdam; war and occupation; Anne's years in the Secret Annex; betrayal and arrest; her deportation and tragic death in Bergen-Belsen; the survival of Anne's father; and his recovery and publication of her astounding diary. Unser Kommentar zu "The Anne Frank House"